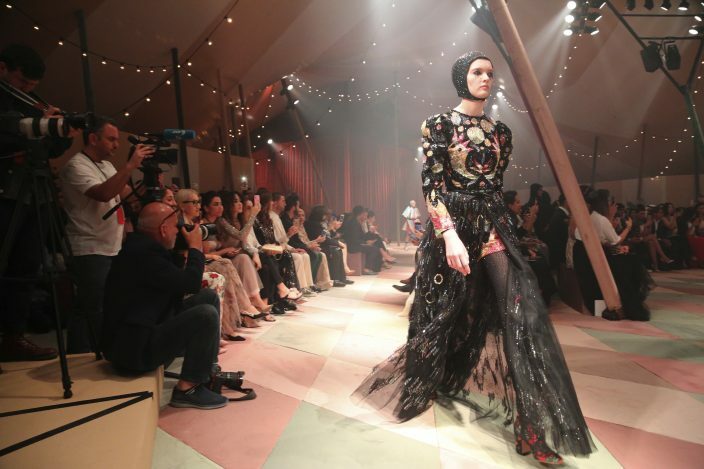 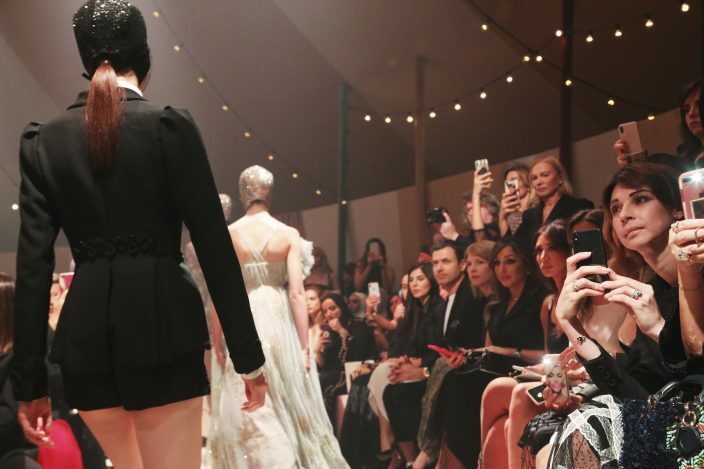 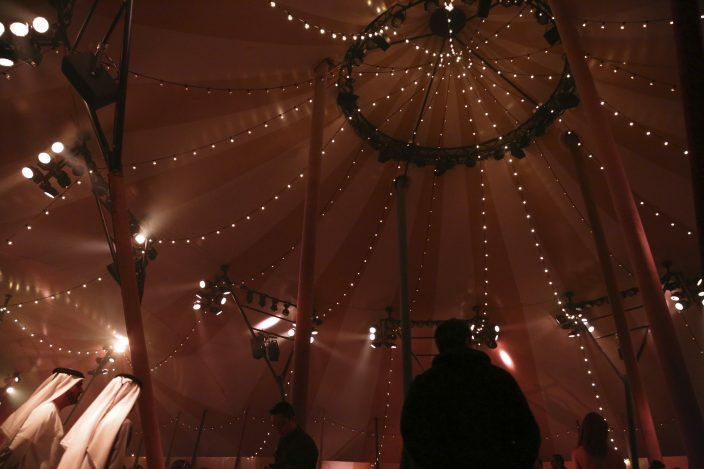 Under a large circus-style tent, Dior showcased its latest haute couture collection to a crowd of Mideast-based fashionistas, social media figures, celebrities, buyers, designers and editors on Monday. 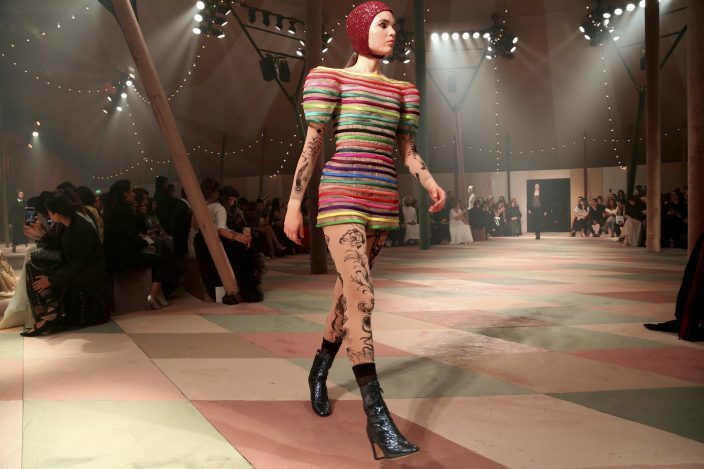 It was the first show in Dubai for the French fashion house, which initially presented the Spring-Summer 2019 haute couture collection in Paris in January. 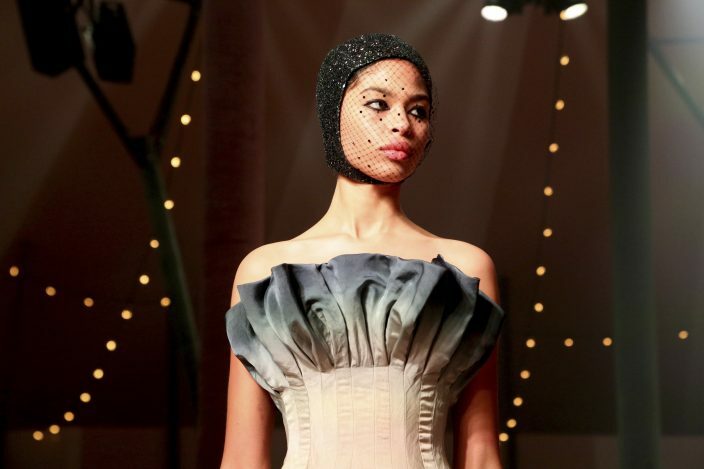 Dubai's exuberant displays of luxury and the city's surreal, futuristic-looking skyline were the ideal backdrop to the show, which included 15 new creations. 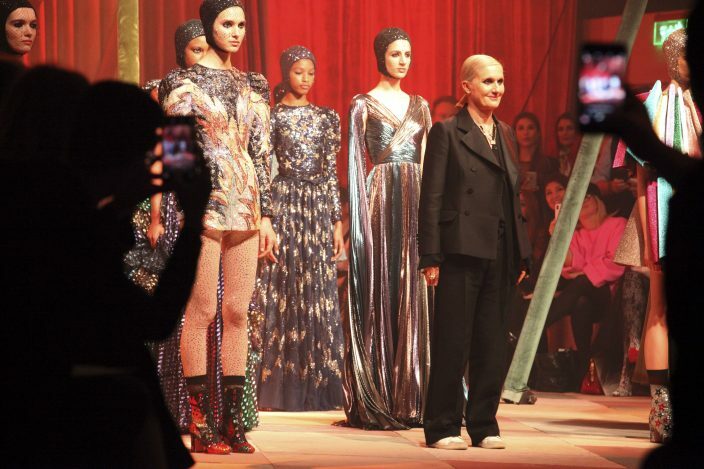 Creative director Maria Grazia Chiuri was on hand at the show, which took place in a park. 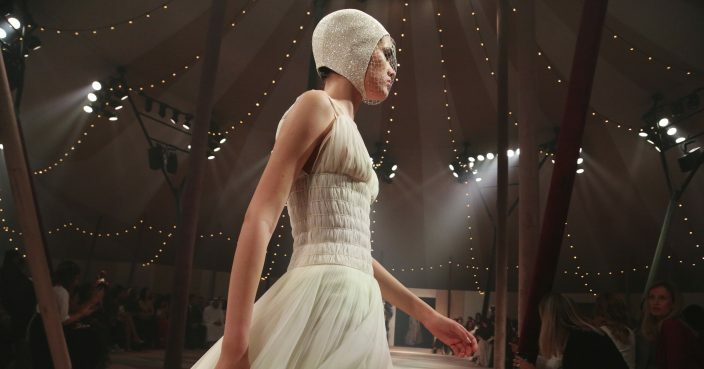 The wealthy Dubai crowd was wowed as models wearing chic sequined helmets and pieces inspired by Chiuri's imagination associated with the circus, a nod to Dior's history with the big top.